The price we pay for innovation, safety, and efficacy. The USA leads the world in basic scientific research, therapeutics and diagnostics. Americans have led the world in innovation for a while now, as evidenced by the USA’s share of Nobel prizes in Medicine and Physiology. The USA, with its population of 318.8 million (2014), has won more Nobel prizes in this category than the European Union (population of 500 million in 2012) or any other country, since 1969. Americans have better and faster access to new drugs. This warrants a look into the pathway many innovations take to gain approval for marketing and influence public health. Small chemically synthesized molecules, large complex entities derived from living organisms and medical devices, all have one thing in common: the long journey they undertake to get to the US or global market. One major step in this process is a clinical trial. After conducting numerous experiments in cell and animal systems, a company/sponsor will present its data to the Food and Drug Administration (FDA) in the form of an Investigational New Drug Application. If the FDA does not raise any objection within 30 calendar days, the investigational drug can be cautiously introduced in humans. A clinical trial asks specific questions and the answers lie in how the participants respond to the treatment. A clinical trial has several phases. If Phase 1 is reasonably successful, it proceeds to the next Phase, where the number of participants, and therefore, the resources needed, multiplies. The same applies for proceeding from Phase 2 to Phase 3. The process is laborious and time-consuming, which involves recruiting eligible patients, training personnel involved in the clinical trials, data analyses, meeting with the FDA at set time-points during the trial, etc. Not all clinical trials lead to successful new drug approval; some trials are withdrawn owing to safety issues while others may not offer any significant improvement over current treatments. 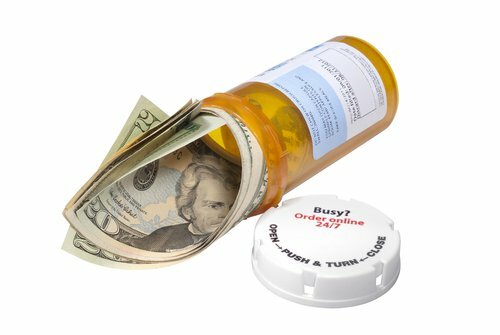 Whatever the outcome, the FDA has one overriding principle for all trials on humans-“do no harm.” If benefits from a therapy are shown to outweigh the risks, then at the end of Phase 3, the sponsor submits a “New Drug Application.” The FDA assesses a user fee to review and respond to applications in a timely manner. Today, the cost of bringing a drug to the market amounts to billions of dollars. Therefore, our medicines are expensive due to the time (5 to 10 years), effort and resources a company or sponsor, as well as the FDA, puts into bringing a new drug to the market. This is the price we pay for innovation, safety, and efficacy. Griffin, R., Lebovitz, Y., & English, R. (2010). Transforming Clinical Research in the United States:: Challenges and Opportunities: Workshop Summary. National Academies Press. Roy, A. S. A. (2012). Stifling New Cures: The True Cost of Lengthy Clinical Drug Trials. Project FDA Report. Manhattan Institute for Policy Research, New York. Whitman, D. G., & Raad, R. (2009). Bending the Productivity Curve: Why America Leads the World in Medical Innovation. Available at SSRN 1543982.